The Panasonic LEICA DG ELMARIT 200mm F2.8 POWER O.I.S. is the largest, heaviest and most expensive Micro Four Thirds lens to date, yet it still epitomises the two main benefits of Micro Four Thirds, namely being relatively compact compared to similar lenses from the other available camera systems, and much cheaper than the equivalent lenses from them too. 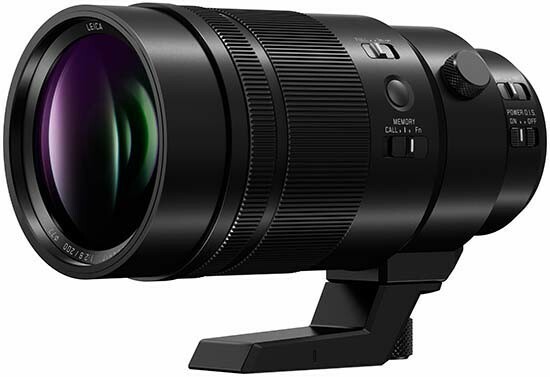 So while some Micro Four Thirds owners may immediately discount it because of its size and cost, there really aren't too many such fast, compact optics as this new Panasonic 200mm f/2.8. This is especially true if you further extend (quite literally) its versatility by using the 1.4x teleconverter that's included in the box, and by purchasing the 2x converter, both of which give more than acceptable results. The Panasonic LEICA DG ELMARIT 200mm F2.8 POWER O.I.S. then becomes incredibly well-suited for wildlife and sports photographers looking for a fast 400-800mm equivalent lens that's equally at home hand-held or on a support, especially as it focuses very quickly and reliably when mounted on the new G9 camera that we tested it with. After four days of using it almost constantly on safari in South Africa, it nearly always proved to be user error that missed the shot, rather than the G9 and Panasonic 200mm f/2.8 combination that we were using.